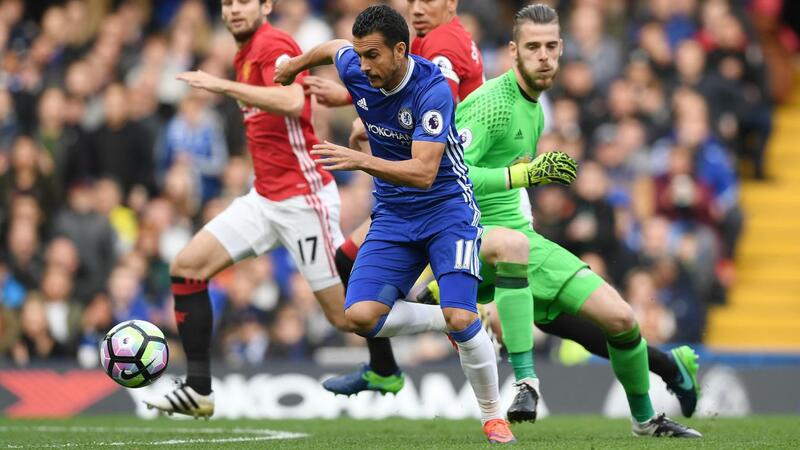 Pedro's (£7.1m) goal and assist in Chelsea's dismantling of Manchester United earned the midfielder top billing in the Fantasy Premier LeagueBonus Point System (BPS). The Spaniard scored 41 in the BPS with team-mates Gary Cahill (£5.9m) and Cesar Azpilicueta (£6.0m) claiming the remaining points with 39 and 37 respectively. Cahill scored Chelsea's second and also completed nine clearances, blocks and interceptions (CBI), while Azpilicueta recorded 10 CBI, won four tackles, made seven recoveries and provided a key pass. The ICT Index reflected Chelsea's midfield dominance, Eden Hazard (£9.8m) leading the way with an overall score of 11.2. His goal, four penalty-area attempts and four crosses underlined his buoyant form which has produced back-to-back goals; the Belgian has managed four goals in as many starts for club and country. Pedro's 11.1 Index tally was built from two chances created, two goal attempts and four touches in the box, while N'Golo Kante (£4.8m) finished with a 10.4 Index total. The former Leicester City midfielder scored his first Chelsea goal and created two opportunities for team-mates, via 36 successful passes in the opponents' half – more than any other Blues player. Since being swept aside by Arsenal in Gameweek 6, Chelsea have won three successive matches, scoring nine goals without reply. This has coincided with Antonio Conte's decision to move to a back three supported by wing backs, producing defensive stability and galvanising the midfield. The 17.8%-owned Hazard appears to have been the main benefactor, although Kante and Pedro are offering an improved attacking threat, while Nemanja Matic (£5.0m) has returned three successive assists. Diego Costa (£10.3m) failed to contribute to Sunday's four goals, recording only his second blank in nine Gameweeks. He also avoided a fifth yellow card of the season; however, Costa remains a single booking away from a one-match ban and could be at risk if he faces West Ham United in the EFL Cup on Wednesday. At the back, Marcos Alonso (£5.9m) continues to warrant interest. He has had more attempts on goal (6) than any other defender since Gameweek 7 onwards and has provided six chances for team-mates from left wing-back; only Manchester United's Daley Blind has laid on more opportunities over the same spell (7). For United, Zlatan Ibrahimovic (£11.3m) is now without a goal in five Gameweeks, despite generating the most attempts (23) among FPL forwards during that timeframe. Once again, he is currently the most transferred-out player ahead of Gameweek 10, with more than 46,000 shipping the struggling striker. An Old Trafford meeting with Burnley and a trip to Swansea City might just slow the exodus, with his ownership levels now below 40% for the first time since Gameweek 2.